The burger came out slightly past my requested medium, but was still flavorful & juicy. It was a very well seasoned, hand-formed patty. The burger to bun ratio was perfect and the snowflake bun nice & soft, soaking up all the runoff. The hand cut fries were good and crispy, but the house-made ketchup was a little too sweet for my taste (it’s always hit or miss for me with house-made ketchup). I could have added a slice of Jersey tomato for an extra dollar (!??!) but I opted to save my pennies and spring for the Old Fashioned that’s tucked away behind the burger. With $10 cocktails, a great wine & beer list, and a super chill vibe with big comfy green mid-century booths, graffiti-ed walls, high ceilings and a long wooden bar – it’s the perfect neighborhood lounge for a “City of Neighborhoods“. 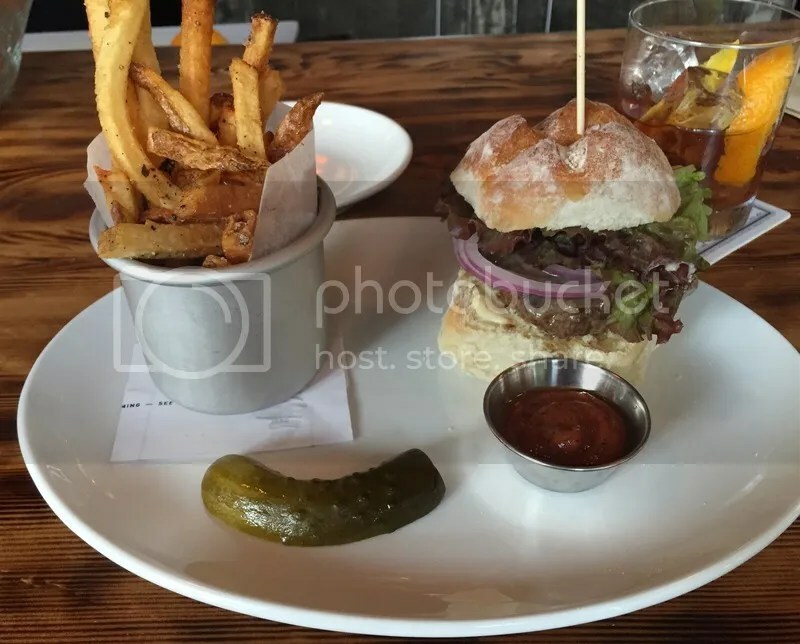 Posted in Brick & Mortar, buns, burger, burgers, Callowhill, cheddar, cheese, cocktails, Eraserhood, FYI Philly, Loft District, snowflake bun, snowflake roll. Bookmark the permalink.